You can't have just one pool chaise lounge or there would be too much disharmony around the pool. This outdoor wicker patio furniture set includes two lounge chairs and cushions. Very simple assembly is required that will take less than 30 minutes. It just involves screwing in the 6 legs and all of the tools needed were included. You can do it yourself, but it does require lifting the chair and turning it over so the help of another person would make it easier. Our neighbor put in a new swimming pool last year, and her first pool furniture piece was an outdoor double chaise lounge. Made of all weather wicker, it is as beautiful to look at as it is comfortable to sit in. This chaise lounge furniture looks great and is so comfortable thanks to some really thick, nice looking outdoor wicker cushions. Add a couple of pillows to give it some color and extra comfort. A set of two outdoor chaise lounges can double your fun when shared with a friend. 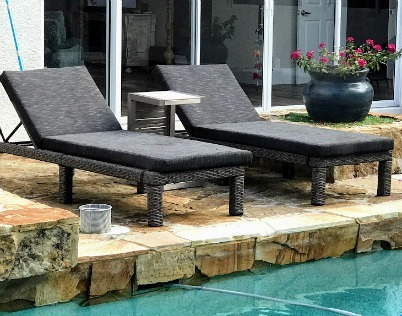 With all weather synthetic rattan weave, powder coated aluminum frame and several reclining positions relaxing on one of these will not be a problem. 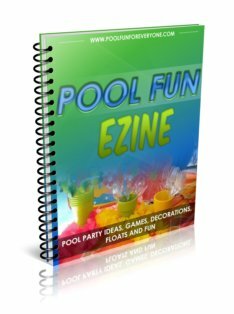 Made of durable but lightweight aluminum frame it can be easily moved to another part of the pool area or onto your deck or screened in porch. Thick cushions make for a comfortable seat and removable cushion covers can be washed. Be sure to spray your cushions with Fabric Guard Trigger Spray to protect the fabric from stains and make it more water repellant. Our wrought iron chaise lounge is an adjustable chaise lounge. Sit upright for reading or watching kids in the pool or completely recline to a flat position which is perfect if you'd like to lay on your stomach for a little snooze. What we love about these outdoor chaise lounge chairs are the wheels that allow us to move them easily to anywhere around the pool. Sometimes we like to be in the shade and we will move it to a shady spot. Other times some warm sun is welcome and we can move it to a sunny place. The outdoor lounge chairs get used almost as much as our outdoor patio table and chairs. We love to relax on them with a good book, our feet up, and a cold drink. Metal chaise lounges all need outdoor chaise lounge cushions. If you are looking to buy a new outdoor chaise lounge, you can sometimes save money if you buy the chaise lounge with the cushions as a set. Instead of moving the lounge chair to a shady spot or moving an umbrella to the lounge chair I finally purchased a clamp on umbrella. It has a universal clamp that clamps on to most surfaces whether it is tubular or square. I clamped mine onto the arm rest. The umbrella swivels 360 degrees so I can always be protected from the sun. It can be positioned in just about any way - higher, lower, left or right, tilted up or tilted down. 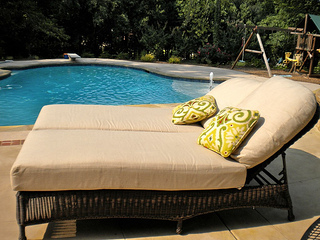 A resin wicker outdoor chaise lounge provides a classic look with no maintenance. The wicker is actually not wicker, but a resin material that is durable and long lasting. 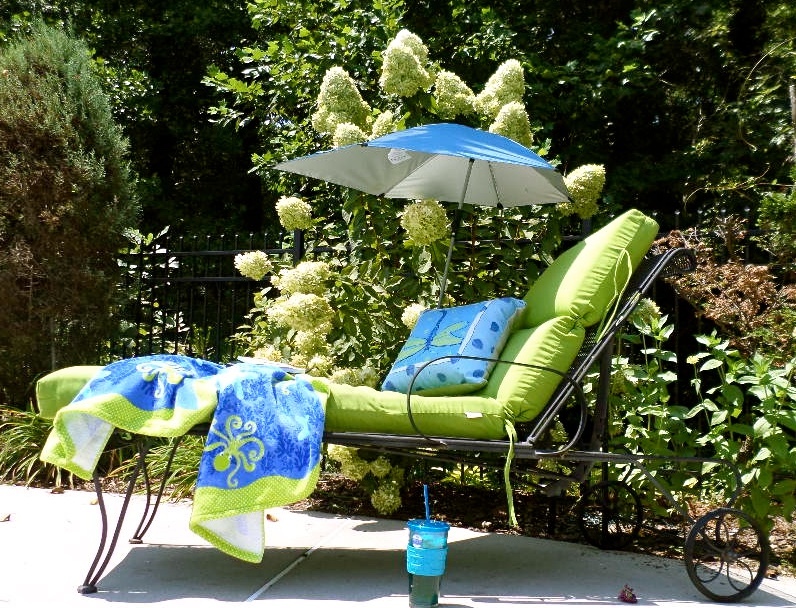 This outdoor furniture can be left outside (bring the cushions in during the winter). Hose it off when it needs to be cleaned. 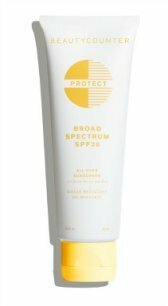 There are many different color options, from this dark brown to white or black. Looking for a zero gravity reclining chair so that you can easily move and store? 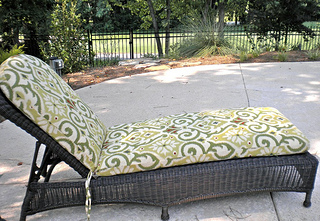 Folding outdoor chaise lounges come in a variety of frames and fabrics. Frames can be made of steel, wood or aluminum. Quick drying breathable mesh fabric with padded seating provides comfort and "coolness" without the hassle of storing or removing cushions. You don't need to compromise on comfort just because it is light weight. The new zero gravity chaise lounge is gaining popularity due to its design to relieve strain on your lower spine and back. This folding chaise lounge chair does not fully recline to a flat position. A wooden chaise lounge can be made from acacia or eucalyptus wood or teak. Both of them are weather resistant. This wood is well-known for its natural resistance to decay, mold, mildew. The wood can withstand being outside but will weather and take on a more driftwood type appearance. As the wood is exposed to the outside elements, the color will change. Teak changes to a light gray weathered look. If you'd like to keep the original color and sheen you can regularly apply teak oil . This lounge pictured has a cool slide out tray to use for your drink or snack. An adjustable back provides a choice of several comfortable positions and wooden wheels make it easy to move or maneuver. A wood outdoor chaise lounge can be quite heavy, so get one that has wheels so that you can move it easily to another spot. 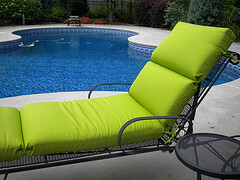 Outdoor chaise lounge cushions are necessary for most outdoor lounge chairs. They not only provide comfort, but style and color as well. Whether you are buying them at the same time you are buying your chaise lounge furniture or as replacements, it is important that you check that the outdoor fabric is fade and mildew resistant. Cushion thickness will determine comfort. If you are in the store try the cushions out on a store model. 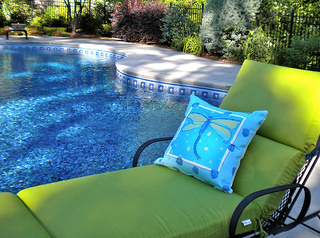 Be sure to shop for your patio chaise cushions in the spring or early summer while the selection is still good. These cushions can also be purchased on line, but it is important that you measure your existing cushions or the chaise lounge to be sure you get the right fit. 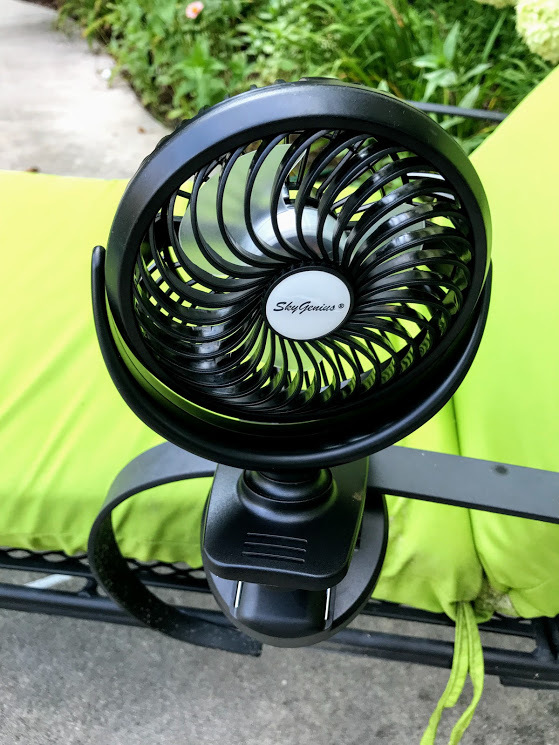 This portable clip on fan makes a hot day by the pool enjoyable. It rotates, is rechargeable, and the batteries last for hours. 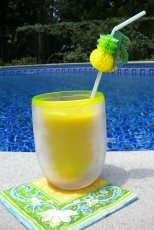 Don't let the heat keep you inside when you can enjoy lounging by the pool in cool comfort. Battery Operated Clip On USB Fan With Rechargeable 2600mAh Battery & USB Cable. 360°Rotation, Adjustable Speed.